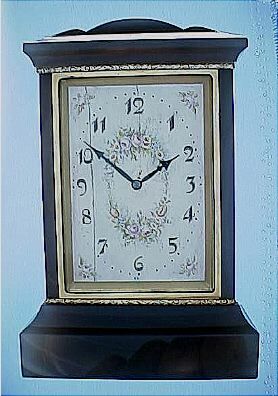 Smokey agate, silver gilt and ivory Swiss 8-day desk clock. Smokey agate, silver gilt and ivory Swiss 8-day desk clock. 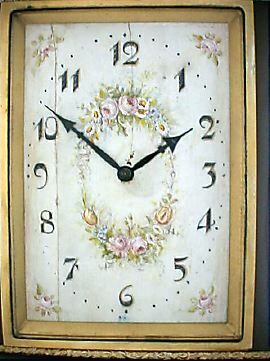 Ivory dial, with typical cracks, beautifully painted with summer flowers. Signed Hase, Geneve on the case. 15 jewel 3 adjustment lever movement signed Eterna Watch Co. A very attractive little clock.